Update 1/18/2019 – This article has been updated with more detailed information about why hard disk drives stop spinning and what end users can do about it. Since the invention of the gramophone, most forms of audiovisual recording and data storage have relied on making things spin. Hard disk drives are no different. When IBM invented the first hard drive, a stack of disks coated with magnetic paint spun at 1,200 revolutions per minute. These disks had a total storage capacity of five megabytes and were roughly the size and shape of vinyl records. The hard drive itself was about the size of a refrigerator and had to be moved with a forklift. Today, a hard drive can hold over a terabyte of data on a single 3.5-inch hard disk platter. The platters in your typical hard drive spin at 5,400 to 7,200 RPM. If you hard drive is not spinning, you cannot get your data. Gillware can help. Put on a record, let it play for a while, then cut the power. When the record stops spinning, the music no longer plays. The needle needs the record under it to move in order to produce any sound. While the technology inside it is far more advanced, your hard drive works in much the same way. The magnetic read/write heads inside your hard drive have a limited range of motion, and can only read data from all of the disks’ surfaces if the platters are moving. Normally, electricity flows through the circuit board on your hard drive and into the drive’s chassis to power the spindle motor, setting the platter in motion. If the PCB fails, the motor receives no power. Your hard drive spins up and then spins back down when you plug it in. This usually means that your PCB can’t send enough power to the motor. However, it can also indicate a problem with your hard drive’s firmware. Your hard drive doesn’t spin up at all. If nothing happens at all when you connect your hard drive to a power source, it indicates that your PCB has failed entirely and cannot send any power to the motor at all. Your hard drive doesn’t spin up and you see/smell smoke. If your hard drive’s PCB becomes so severely shorted that it starts to burn when you plug it in, it has definitely failed. Plugging a hard drive with a burned PCB into a power supply unit can cause the unit to fail as well. Visit our page to learn more about diagnosing and handling hard drives with burned PCBs. Many years ago, when hard disk drive designs were much simpler, replacing a failed PCB was so easy that just about anybody with the right screwdriver could do it. However, in the years since then, hard disk drives have become so intricate that every PCB has data on it that is wholly unique to the hard drive it belongs to. Recovering data from a hard drive with a damaged PCB requires transferring that unique data from the failed PCB to a matching donor, often by physically removing and replacing chips on the board! The read/write heads inside your hard drive are tiny copper coils that hover a scant few nanometers above the surfaces of the disk platters on the ends of long arms and use electromagnetic signals to read and write data. If they collide with the platters and clamp down on the disks, they can hold them in place and prevent them from spinning. Of course, the platters will still try to spin, which is bad news for everything involved. The read/write heads, if they haven’t already, will typically become mangled. Weak, regular beeping noises. Beeping is one of the most common signs of damaged read/write heads preventing a hard drive from spinning up. The motor can fail and burn out, leaving the platters with no way to spin. 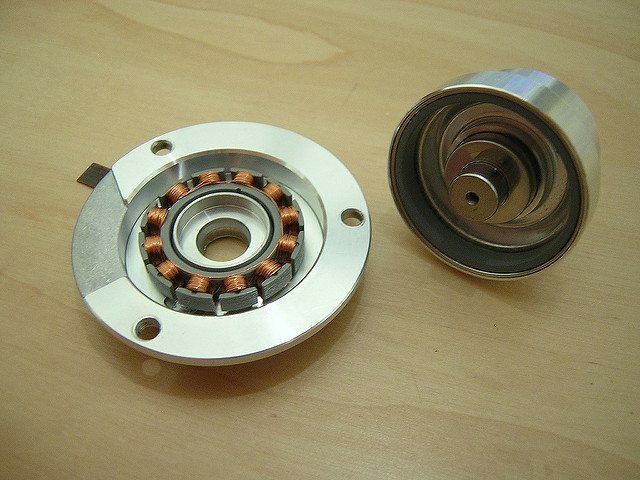 When spindle motors seize up, one common point of failure is the lubricated bearings inside the motor. Over time, the lubricant eventually dries up and becomes unable to protect the motor from the forces of friction. Eventually, the motor seizes up and the hard disk platters grind to a halt. The lubrication inside the spindle motor can’t be reapplied. To get the platters spinning again, your hard drive needs a new motor. What can you do about a hard drive that’s not spinning? Unfortunately, there’s nothing you can do on your own when you have a hard drive that’s not spinning up. This is because there’s nothing you can do to repair your hard drive or replace whatever is broken inside it. So what do you do if you have a lot of files on your hard drive–whether it’s your PC’s internal hard disk or an external drive–that you didn’t have backed up? Are they gone forever? Not quite. There’s still a chance you can get your data back–and that’s by sending your hard drive to a professional data recovery lab. Fortunately for you, Gillware has been in the business of reuniting people like you with your data for over fifteen years. Hard drive repair is hard work, requires special tools and training, and has to be done in a clean environment. It’s not safe to crack open a hard disk drive, pull out its guts, and shove in new parts outside of an environment that meets ISO 5 Class 100 air purity standards. And it’s definitely not safe to do that when you aren’t a skilled mechanical engineer with years of experience working in a data recovery lab. Sending your hard disk drive to a lab sounds daunting, but we here at Gillware make the process as easy and painless as possible. Just get in touch with us to set up a free, in-lab evaluation and we’ll provide you with a printable prepaid shipping label you can use to send your hard drive to our lab for free. 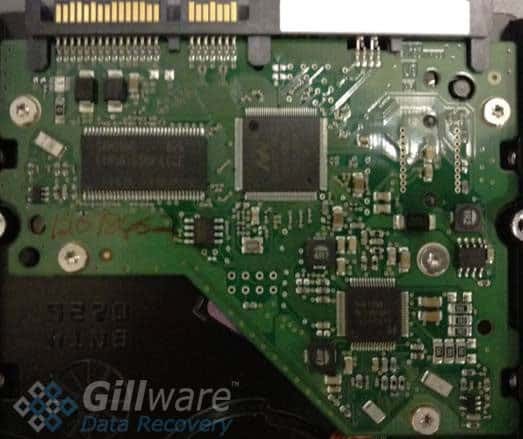 There are no upfront costs for hard drive data recovery at Gillware, no fees for unsuccessful recovery attempts, and if we aren’t able to recover the data that’s important to you, we don’t charge you a dime. Data loss is a stressful thing no matter who you are or what you’ve lost. Let Gillware make it easier. To replace a spindle motor, our engineers take the platters out of the drive and carefully set them into a donor hard drive. The donor drive must be as close of a match as possible. Due to the drive-unique calibrations stored on the control board’s ROM chip, the original control board must also be swapped over to the original drive. Doing this is actually more efficient than replacing the motor itself. Since the read/write heads in the client’s drive were still functional as well, our engineers swapped those into the donor as well. Hard drives are all uniquely calibrated for the various tolerances and quirks of manufacturing in their parts. Therefore, a hard drive will never truly perform optimally with another drive’s read/write heads (although in many hard drive repair scenarios, our engineers have no other choice). This is one of the many reasons why DIY hard drive repair is completely insane. When our engineers repair failed hard drives, it is best to use the hard drive’s original parts whenever possible. The client in this data recovery case came to our lab after suffering a hard disk drive failure. Their Western Digital hard drive had stopped spinning altogether, cutting the client off from all of the photos they had stored on the drive. Fortunately, when they noticed their hard drive not spinning, they brought it to the hard drive repair specialists at Gillware Data Recovery. Our hard drive repair experts took a look at the client’s Western Digital hard drive inside our cleanroom data recovery lab. The hard drive’s control board still worked, and its read/write heads looked to be in good shape. This left only one possible culprit—the motor itself. After burnishing the hard disk platters and carefully placing them in the donor chassis, as well as performing the other necessary operations, our cleanroom data recovery engineer Drew could start reading data from the failed hard drive. With the delicate HDD surgical procedures out of the way, imaging the hard drive’s contents went smoothly. Drew successfully recovered 99.7% of the client’s photographs after reading 15.1% of the platters’ contents. A handful of the recovered photos had incomplete reads due to some bad sectors on the hard drive’s platters, but these incompletely-recovered files made up a scant 0.3% of the files on the disk. 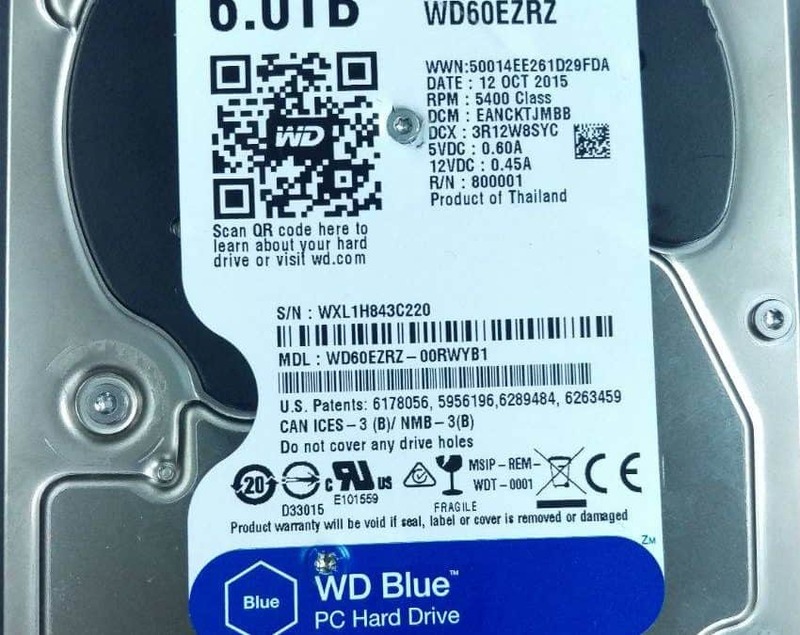 We rated this Western Digital data recovery case a 9 on our ten-point scale. 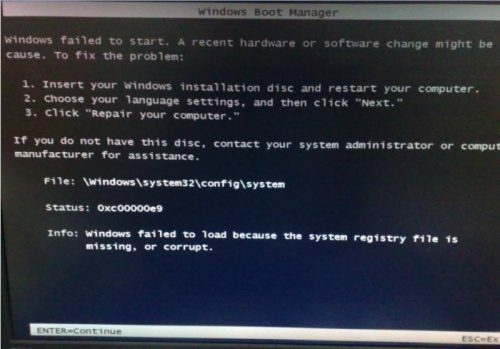 Hard drive error code 0xc00000e9: Windows failed to load because the system registry file is missing or corrupt.